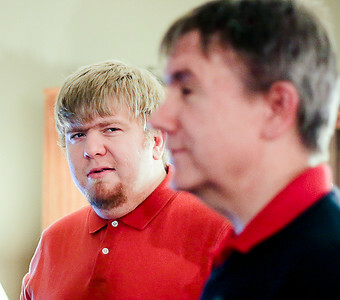 Wes Parks (left) and his father, Bill Parks, pose for a portrait at their Oakwood Hills home Wednesday, April 6, 2016. 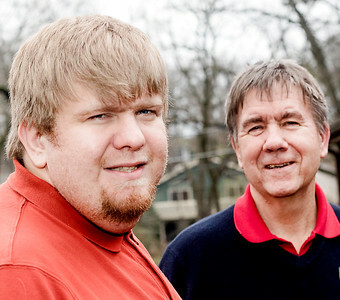 Father and son were both recently involved in organ donations but not to each other. 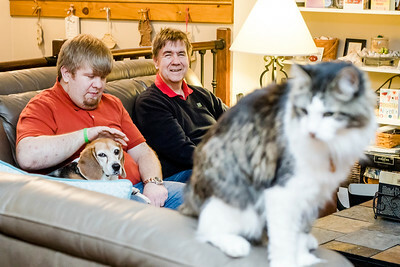 Wes had been on dialysis and needed a kidney but his father wasn't a match. 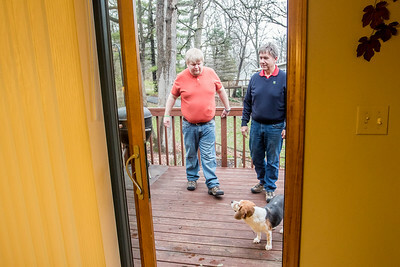 Bill ended up donating his kidney to someone else and Wes got a kidney from a stranger.